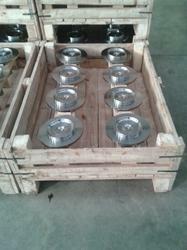 We are into manufacturing good quality Wooden Pallets which are suitable for Flange Storage, which prevents the flanges from getting damaged while transporting and which can be kept in a rack without damaging the flanges. 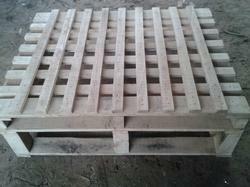 We also provide customized wooden pallets for in house storage for any part and any size of the industrial equipments. We are into manufacturing good quality Wooden Pallets which are suitable for Storage purposes of JCB Shafts, which prevents the shafts from getting damaged while transporting and which can be kept in a rack without damaging the shafts. We are into manufacturing good quality Wooden Pallets which are suitable for Storage purposes of Industrial Accessories, such as gears, shafts and other automotive spare parts, which protects them from getting damaged while transporting and which can be stacked without damaging. 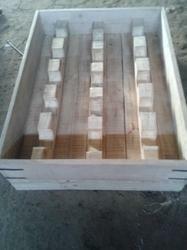 Looking for Storage Wooden Pallet ?